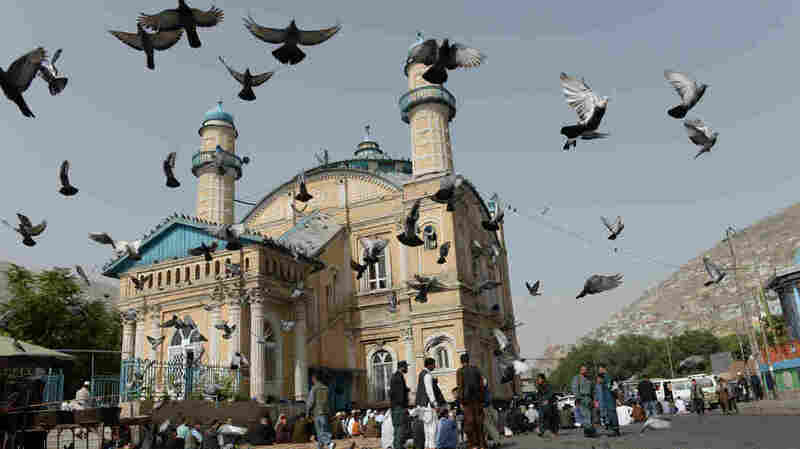 Afghan Taliban Begin 3-Day Cease-Fire For Eid Al-Fitr The holiday cease-fire — promised on both sides — is a rare act of goodwill. However, not all warring parties in Afghanistan are laying down arms. According to the Agence France-Presse, this is the first cease-fire the Taliban have announced since the U.S. invasion of Afghanistan in 2001. "It's a rare, goodwill gesture in Afghanistan, where multiple efforts to begin peace talks have faltered," NPR's Diaa Hadid reports from Islamabad. "To give an idea of how complicated the battle is, the government's cease-fire doesn't include ISIS, which repeatedly strikes civilians in Kabul. "The Taliban says its cease-fire doesn't include foreign forces ... U.S. troops and NATO. "And a spokesman for U.S. Forces said they would adhere to the cease-fire with the Taliban — but said it wouldn't include their battle against al-Qaida or ISIS." "The U.N. welcomed the cease-fires, however modest," Hadid reports. "And [Afghan] President Ashraf Ghani told local media that he hoped the cease-fire could be built upon and extended." "The United Nations tallied 763 civilians killed and nearly 1,500 injured in just the first three months of the year. "That casualty toll stands at roughly the same level as each of the past two years, but as NPR's Scott Neuman noted last month, recent attacks on major cities and government buildings — usually claimed by the Taliban, al-Qaida or ISIS — have brought increased visibility to the unrelenting bloodshed in the country". The head of U.S. forces in Afghanistan, Gen. John Nicholson, spoke with NPR's Rachel Martin last week, after the government announced its cease-fire and before the Taliban had responded. Nicholson welcomed the cease-fire, saying it has "great significance" and reflects the Afghan government's "strong desire for peace." "This cease-fire is in response to a call from 3,000 religious scholars who on Monday called on the government and all belligerents to engage in a peace process. There have also been calls from an Afghan grassroots peace movement on the government, as well," Nicholson said. "I'm encouraged by this talk about peace," he said. "I've not seen this in my many years in Afghanistan before." Asked whether the U.S. would consider scaling down its forces in Afghanistan or withdrawing completely — a central Taliban demand — Nicholson first said he couldn't speak for the U.S. government, then later said that U.S. forces "need to continue to support [Afghan troops] for a while longer." "After several years of trying to support peace as the U.N. secretary general's special representative for Afghanistan, I strongly believe that the elements of a potential deal are now discernible through the haze and dust of war," Tadamichi Yamamoto wrote. "Both sides want an Islamic government. Both agree that the state should be governed by a constitution. Both agree that Afghanistan should neither be a haven for global terrorists nor a threat to its neighbors. "Cessations of hostilities — even if temporary — are the initial building blocks of peace," he wrote.